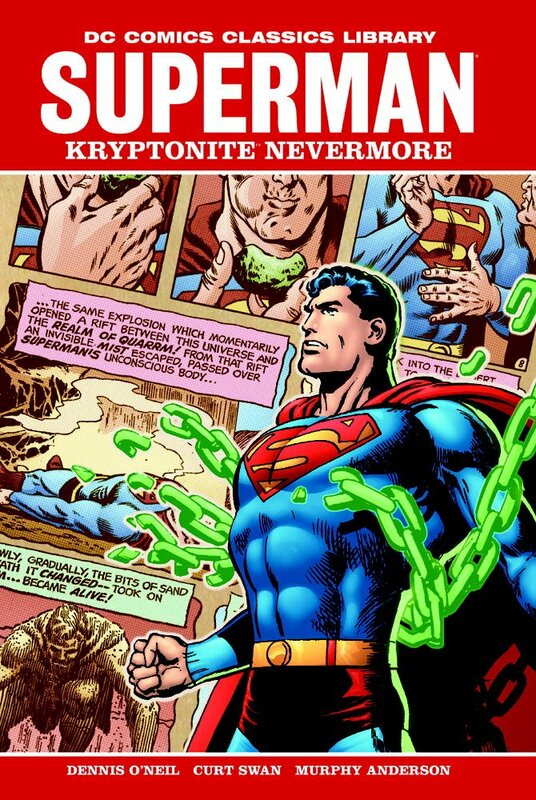 Comic & Sequential Art :: Bronze & Modern Age (1970-present) :: DC Comics Classics Library: Superman - Kryptonite Nevermore! 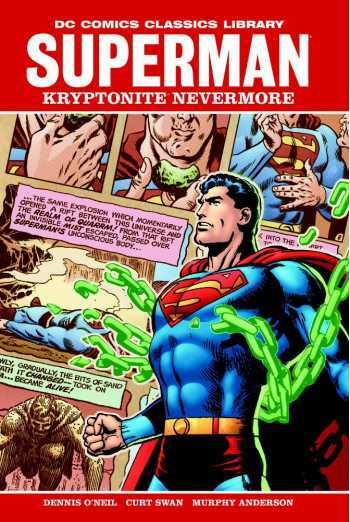 HomeComic & Sequential ArtBronze & Modern Age (1970-present)DC Comics Classics Library: Superman - Kryptonite Nevermore! Originally published in 1971, this story turned Superman's status quo on its head by featuring a story in which all Kryptonite was destroyed! But that leaves The Man of Steel anything but invulnerable as his powers slowly begin to fade and a doppleganger Superman arrives on the scene with strange powers of its own. The first in the new DC COMICS CLASSICS LIBRARY line collecting memorable tales in their entirety, this volume contains SUPERMAN #233-238 and #240-242 and contains a momentous story for the Man of Tomorrow that you won't want to miss!